Jessica G is 29 years old she lives in AZ all of her life and have made so many friends.She lived in Prescott Valley, AZ for many years and went to school there. Jessica G played lots of sports in school. She went to Cortez High School and graduated in 2006. Since graduating she developed a very strong passion for promoting great country music Jessica G was raised around country music all of her life. She remembers her Grandpa always singing to her and her Grandma dancing in the kitchen. She would say "I can't sing or dance but I will work around country music one day doing something." In December 2013 her dream was coming true! Earlier of that year she was on Facebook and she saw a page for a Country Music Artist name of Matt Farris, she liked the page and started to listen to his music and followed him on all social media. One day Farris did a contest so Jessica G enter into it. One week went by and she was standing in her kitchen and looked out the window and saw Matt farris get out of his van. She answerd the door and he said looks like you won. He came to deliver a CD and hat of his. Farris told Jessica G that she was a great supporter of his and asked if she would help with social media promotion. A look of surprise on her face she of course said yes. Jessica G helped Farris on social media for about one year and then Farris asked her if she wanted to be the president of his fan club and his official street team. With out any hesitation the answer was a yes. In February of 2015 Eddie Joe Clark asked Jessica G if she would be his band official promoter, of course she said yes. She would travel show to show to support both bands, slowly making a name for herself, people would tell her thank you so much for the work you are doing getting great music out and letting fans know about up and coming shows, merchandise and much more. 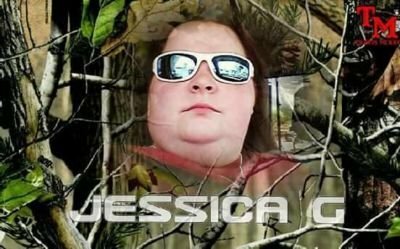 In May of 2015 she started a Facebook page call Jessica G Promotions, that know has well over 3,000 likes. December of 2016 she started talking to Country Music artist Brandon Maddox the two started to promote each other and became a great team. She is now promoting him on social media full time. Her dream of being around country music came true. 2016 she won her first award best promoter in the UK. This was one of very many. She also won best interview from J-Man Radio that same year. 2017 Jessica G won 5 awards and was nominated for many. Here is a list of all awards. Made Final Round In The Voting For Promoter Of The Year. Despite a full schedule, Jessica G finds the time to give back. She is a big supporter of the AZ humane society making donations as much as possible. Jessica G's strong passion for helping others led her to organize her own toy drive in 2017. She has many friends on social media and over 3,000 followers, she knew she could make a difference. Delivering over 65 toys to the children in the hospital.